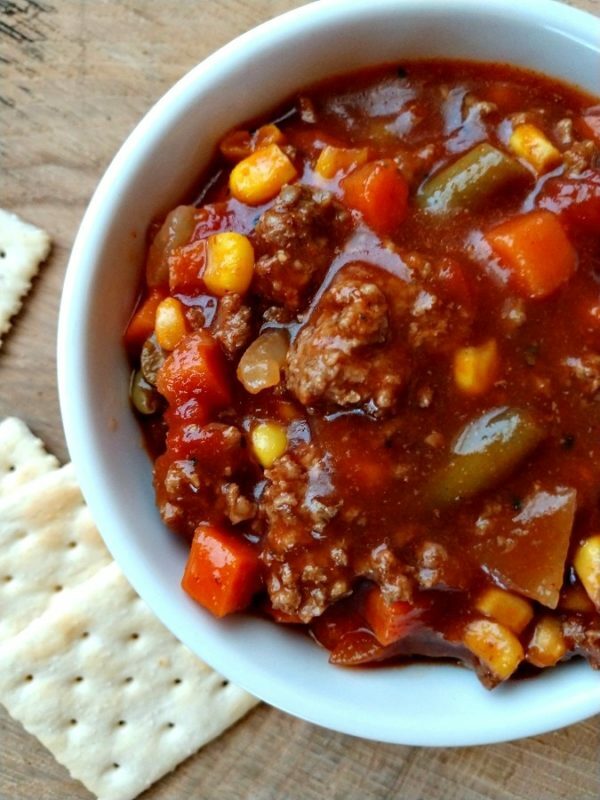 Crock-Pot Vegetable Beef Soup. A hearty beef soup filled to the brim with tasty vegetables. This is a favorite of my neighbor’s to make. He dumps it all in the slow cooker and allows it to cook for a majority of the day and then eats it for dinner. He prefers to get the frozen mixed vegetables that does not have lima beans in them. A personal preference of his, but one that I tend to agree with. Not a huge fan of lima beans. He always saves some for me to take in my lunch for work. A nice Tupperware container full of his delicious soup. Tastes just as good heated up as it does fresh out of the slow cooker. If you do have leftovers, they will keep 5-7 days in the refrigerator or up to 2 months in the freezer. 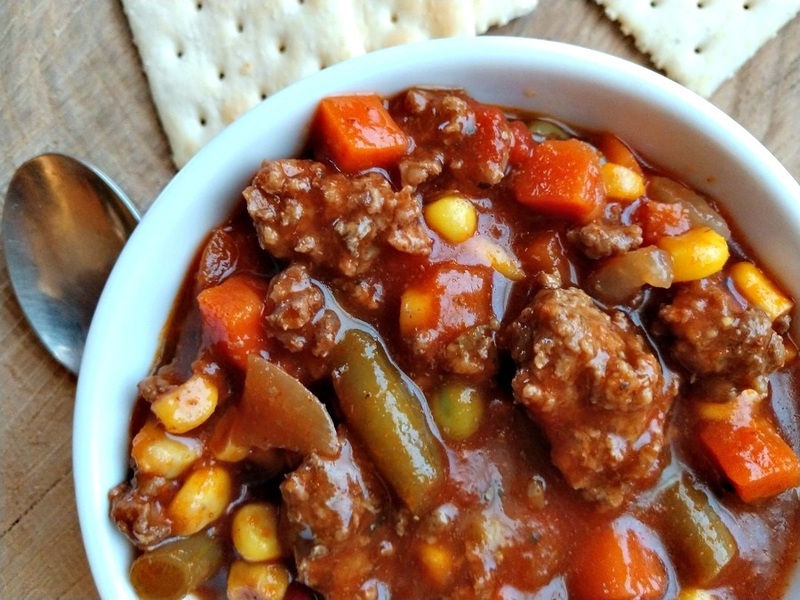 Warm and tasty vegetable beef soup slow cooked and full of flavor. Easy to make and delicious to eat. On the stove top in a skillet, brown the ground beef and onion. Drain of any drippings. Add the ground beef and the remaining ingredients to a 5 qt or larger crock-pot.